We welcome you to Frome Valley Medical Centre. We are a large practice with 14,500+ patients situated in Frampton Cotterell, South Gloucestershire. Our aim is to improve the lives and health of our growing community, by ensuring excellent patient care is delievered by a professional, highly motivated and respected health care team. We hope you can take the time to browse our website where you will discover lots of information about us and the services we provide. For information regarding Flu & Shingles vaccinations this year, please go to the 'Clinics & Services' tab and then onto 'Influenza/Shingles Vaccinations. Data Protection rules have been updated. Please click on the link below for more information. Since the 15th January, we have been running a new appointment system. Why are we changing the appointment system? We are working together with other local practices to offer more appointments in the early mornings, evenings or at weekends. Here at Frome Valley Medical Centre, we are able to offer late evening telephone consultations with some of our GPs on selected days between Monday and Friday. Speak to a member of the practice team to find out more. 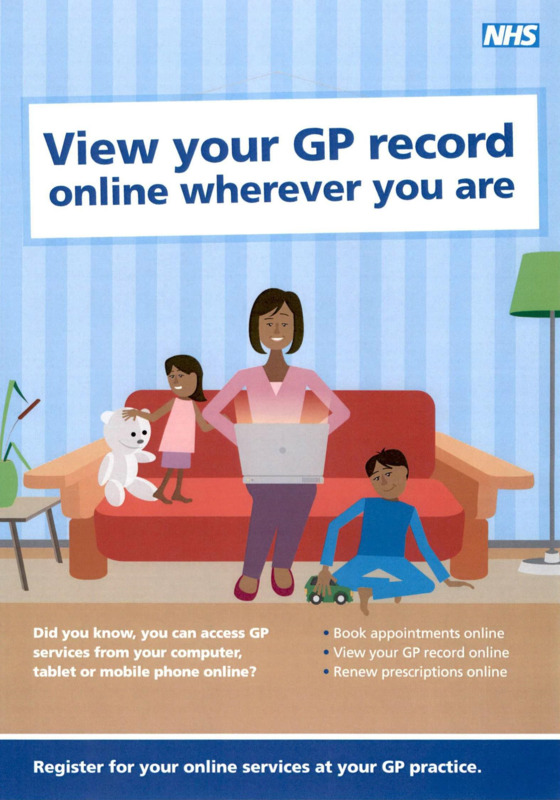 Did you know that you can order prescriptions and make appointments online? Just ask at Reception if you would like to be set up to do this, bringing photo ID (e.g. passport or driving licences) and proof of address from the last 3 months. The process is quick and easy, allowing you to make repeat prescription requests and appointments even when the surgery is closed. Frome Valley Medical Centre is a research active organisation. Please click on the document below to view a poster regarding this. When Can Your Pharmacy Help You?